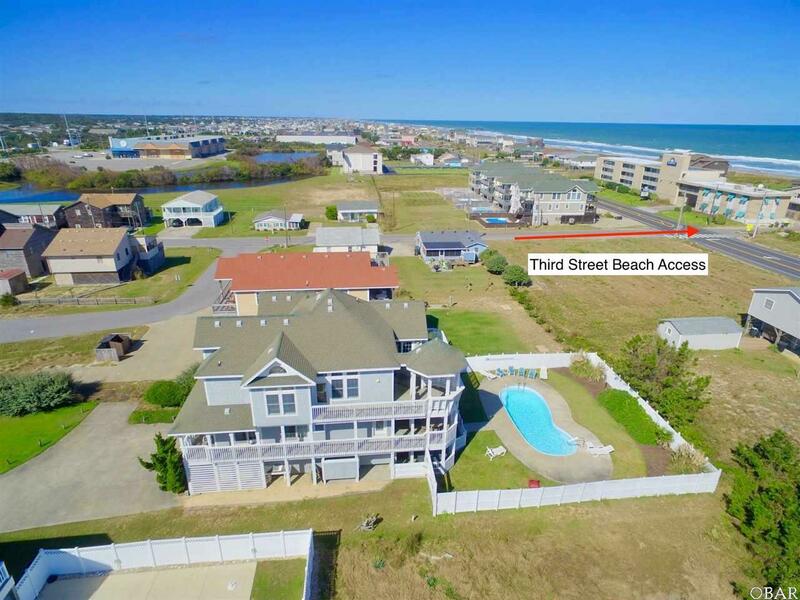 Quality Construction, meticulously maintained and only 180 yards to the beach! This 6 bedroom, 4 are Master Suites, 5 bath home is not your ordinary rental machine. Looks and feels more like a second home with its well appointed details, attractive decor, generous floor plan, wall of windows, and appealing architecture. The outdoor area is a dream with alluring landscaping, expansive heated pool (32x18), gazebo, and multiple levels of spacious decking. 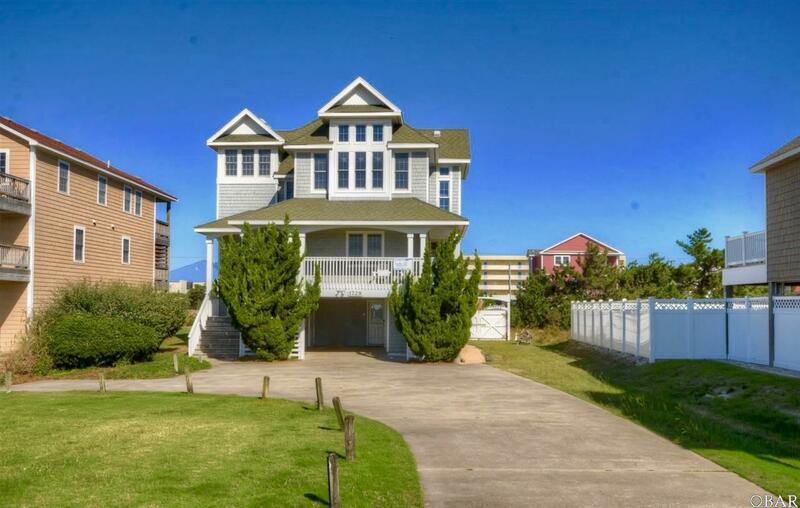 Top Floor: the sunny top floor is decorated in seaside colors, and offers a great room with gas fireplace and cathedral ceilings, kitchen has stainless steel appliances and plenty of natural light. A lofted sitting area provides a cozy reading nook, with lofted views, a king master features a second gas fireplace and private bath with Jacuzzi tub, as well as access to the open deck which faces the ocean. Mid Level: Two master suites, a queen bedroom and a bunk bedroom that share a full bath. All bedrooms have private access to a covered wrap around deck and gazebo with built in seating. Ground Level: Game room with a pool table, lounge area with TV, and kitchenette with full refrigerator, sink, dishwasher, commercial ice-maker and microwave; a half bath; one king master and a twin bedroom. 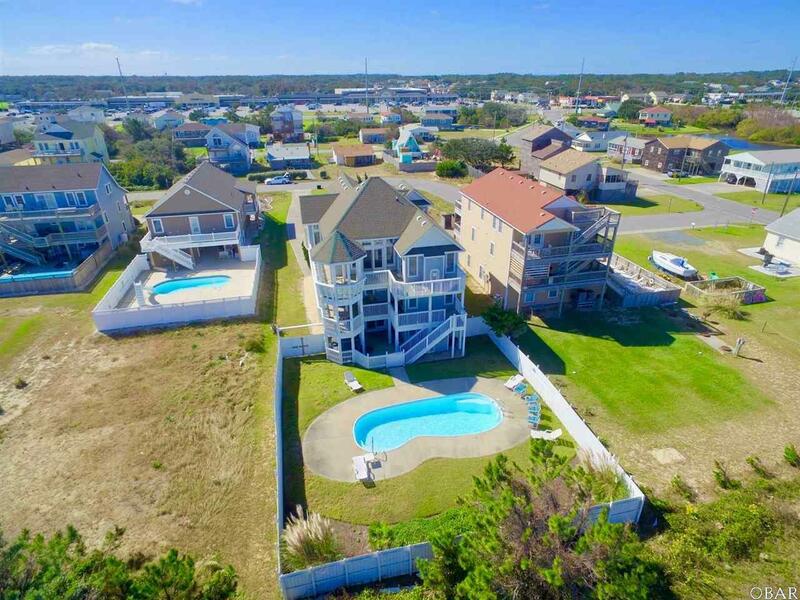 Located in the heart of Kill Devil Hills with convenience to all the fun, shopping and restaurants the Outer Banks has to offer. Consistent rental income grossing $75,000 a year. Exterior and Interior was freshly painted in 2016. 2 HVAC have been replaced in the last 5 years, and mid-level was replaced 2016. 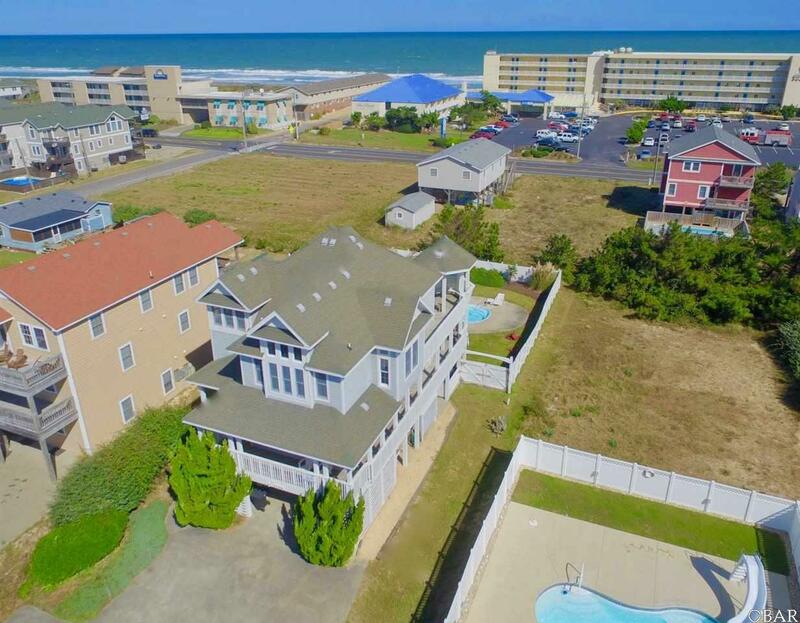 Listing courtesy of Heather Vandermyde of Coldwell Banker Seaside Realty - Kdh.